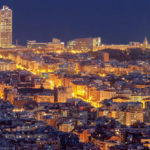 If you come to the Costa Brava, you’re sure to be drawn into the big city of Barcelona. That much is certain. Even if you set up a base in Barcelona, you still need to find something outside of the city to explore. There is so much more to this area than the city, and it can get tiring to walk up and down the streets day after day. 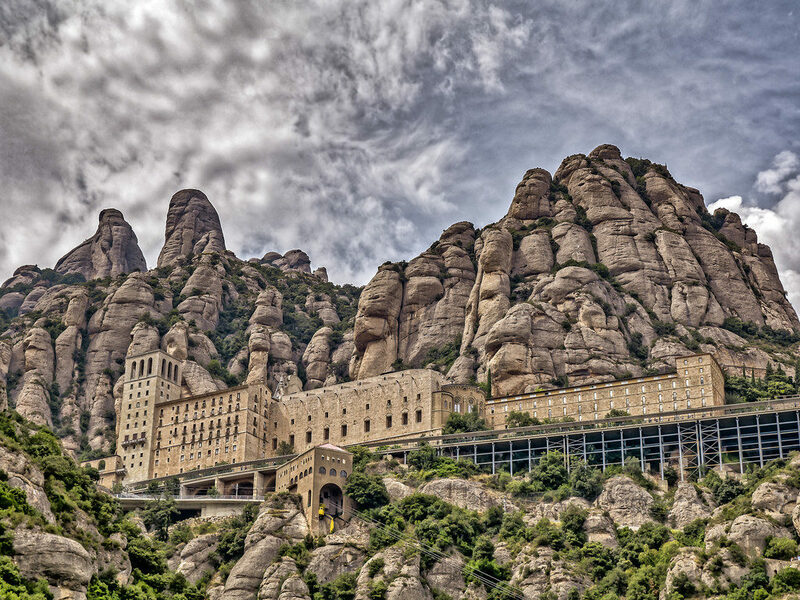 Let’s look at the most popular day trips from Barcelona. 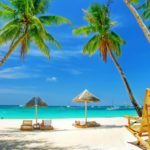 These simple tours and excursions take you far enough to find something brand new, but you’ll still be back in your own private villa in time for a nice dinner in the streets of the city. Only about 60kms inland and away from the city, you’ll climb up the hills to discover a city on a hill. This beautiful location sounds like a Grecian town of old, the buildings standing tall overlooking the valley far below. Although you’ll only travel an hour from the centre of the city, you’ll feel like you are in a whole other part of the country. Take a train from the city or hire a car for the day to experience this wonderful place. One place that you cannot miss is the monastery that stands above the clouds. It’s worth noting that the monastery holds the Black Madonna, the official patron saint of the region. If you’re into hiking and walking, the trails are notorious for exclusive views and stunning scenery throughout the area. They’re difficult enough for any level and can be conquered in a day. Climbers can also try to scale the mountain with great views to admire once you reach the top. The peak of Sant Jeroni gives you a 360-degree view of the Pyrenees that encircle you. You can even see all the way to the Mediterranean to the South. 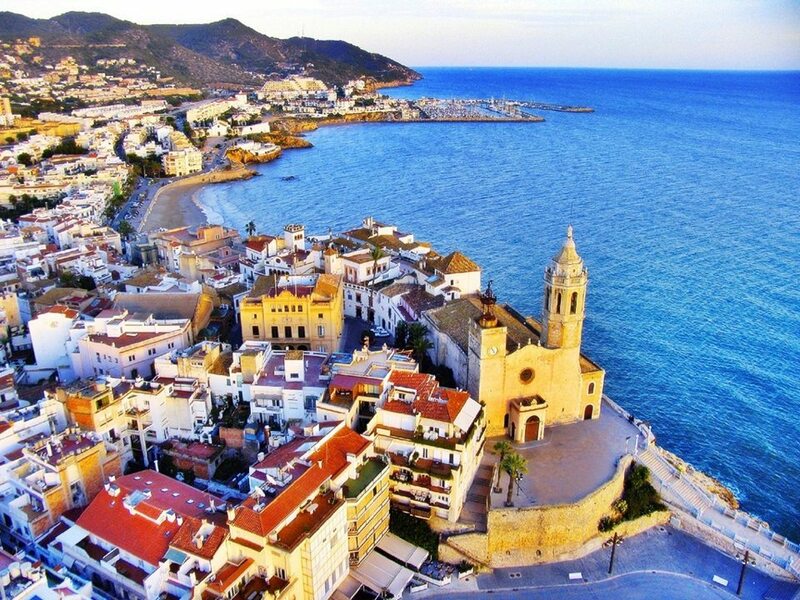 It’s not that far from the city, but you absolutely must find Sitges and dedicate an entire day to exploring the area. The town was renewed and transformed from the sleepy village that it used to be into a tourist destination that dominates the scene. 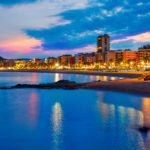 Sitges is a great getaway that boasts of beaches that can’t be beat, cafés that capture your heart, and a nice coastal town that actually feels authentic. Sitges is the place to see and be seen in. You’ll likely rub shoulders with the rich and famous as you wander the streets of the town. The beach can get crowded during the summer, but there’s more than the beach to explore. And if you’re lucky enough to be visiting in February, you’ll get to enjoy the carnival atmosphere that takes over the entire town. I’m sure that as you wander the streets of Pals, you’ll ask yourself, “Have I seen this place before?” It feels like the kind of place that movies are shot in and TV shows are based around. The old world feel is strong in this town, just a couple of hours north up the coast from Barcelona. Pals is a little surprise for those who are willing to visit. 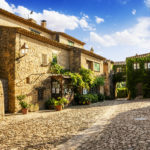 It’s not high on the agenda of many tourists, but if you want to escape the crowds of Barcelona, you’ll appreciate the quiet feel of this place. 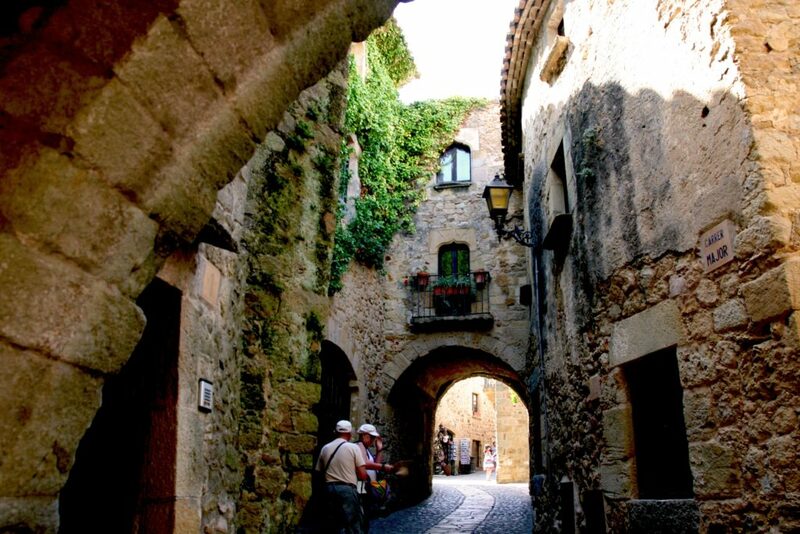 The maze of cobbled alleys, the stone balconies, and the archways all transport you to an older, simpler time. Wear your walking shoes, because the town sits atop a hill and some of the streets can get pretty steep. Find yourself at the top of the town, and you’ll discover views of the surrounding area that are lost on most visitors. This place is straight out of a postcard. The colourful buildings, the crowded homes, the narrow streets, all feel like a movie set that you stumbled upon by accident. This old town has all the charm you’d expect from a Spanish site. The old Jewish quarter is among the oldest preserved places in Europe. Find alleyways and street corners that have existed for hundreds of years as you explore the buildings and walkways. Be sure to bring multiple memory cards because you won’t stop taking photos of the place. You’ll find a new shot around every corner. You might even remember some familiar locations from when they filmed Game of Thrones in the streets here. 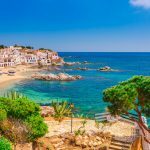 Although this site is a little farther than others on this list, Cadaques is worth the travel time to visit. It’s about 2.5 hours by car to this little town. It’s hidden away in an inlet and is host to some of the cutest homes in all of Spain. 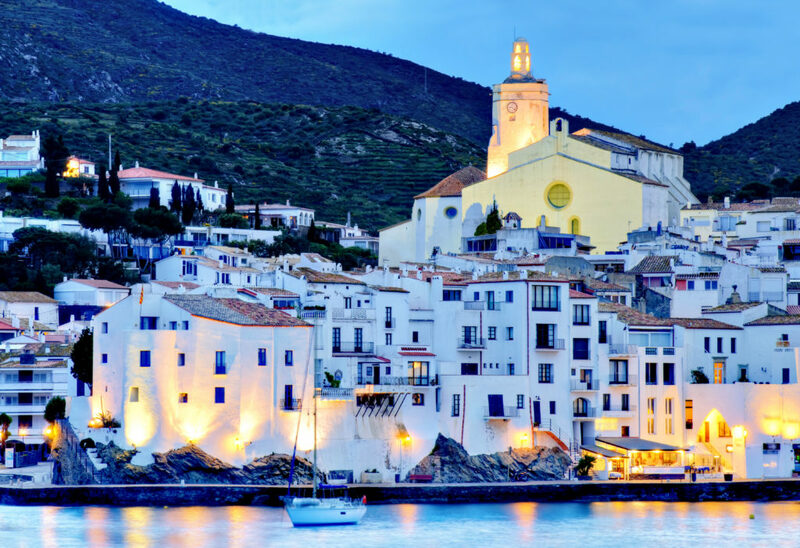 This fishing village is the perfect getaway to experience the culture of old-world Spain. The people are very friendly and willing to invite you to explore their town. It’s also a popular destination for art lovers. Salvador Dali made his home here and painted many of his masterpieces inspired by the surrounding sea. His gallery can still be visited today. Who knows? Maybe you’ll be inspired to paint your own vistas. 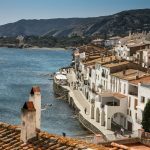 Miro, another famous Spanish contemporary of Dali, stated that Cadaques was the world’s most beautiful village in the world. You will tend to agree. Who knew that there was so much to explore just a short trip from the city? Start out in the morning from your accommodation in Barcelona and in a couple of hours you’ll be somewhere completely new and different. You really need to take a few day trips to squeeze in as much as you can of this region. Have fun exploring the region!